i want metro with complete transparency, exactly like the taskbar, but all i can find is skins with partial transparency and searched comes up blank, google show just gives me stuff about taskbar related things or just partial transparency about the androidy looking default start menu. Which Windows OS are you using and which style of the menu and skin? Do you want full transparency without glass/blur in the Start Menu and Taskbar? Title bar customization is outside the scope of Classic Shell. In Windows 7, the "hideBlur" registry option will do the trick. 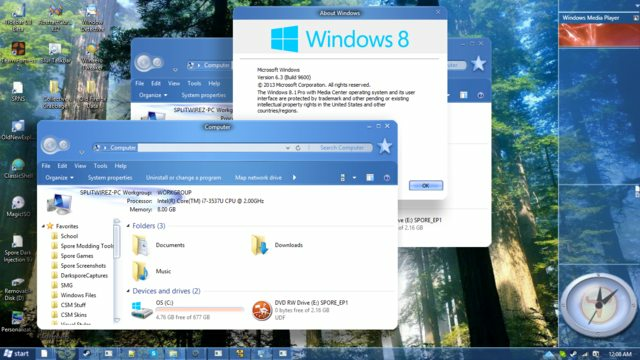 On Windows 8.1+, WinaeroGlass can achieve the same effect. On Windows 10, Aeroglass 8.1+ for Windows 10 can get pretty close if you set the settings right.